Who needs teachers when you can hire a robot? Dubai: Classrooms of the future could be missing one important element — the teacher. Robots have started assisting or even replacing teachers across the world, experts at a Dubai education show said. The robo-teachers are strutting their stuff at the GESS (Gulf Educational Supplies and Solutions) show till March 1 at the Dubai International Exhibition Centre. One of them has been dubbed the "job terminator" after teaching English in some 30 schools in South Korea. Engkey recognises faces, remembers names and flags up wrong answers. The egg-shaped robot can also double up as an avatar for a real teacher sitting miles away. 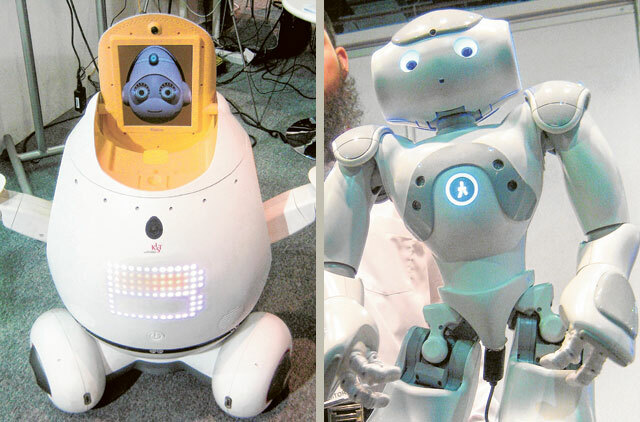 "It's their smartphone revolution, and the next one will be in robotics," said Hatim Qureshi, product manager of a Sharjah-based technology company while showing off humanoid robot NAO at GESS. NAO is a ‘fun' way of teaching computer programming to students who ‘write' the software telling NAO what to do, he added. One company is taking that revolution further by doing away with schools, classrooms and teachers. Afghanistan-based Pashto TV beams lessons straight to your TV. The coursework is basic reading and writing ‘taught' in sync with textbooks for the service. "We're removing the teacher and school from education," said project founder N.R. Liwal.